Aikido is a Japanese martial art developed by Morihei Ueshiba (often referred to by his title ‘O-Sensei’ or ‘Great Teacher’). On a purely physical level, it is an art involving some throws and joint locks that are derived from Jujitsu and some throws and other techniques derived from Kenjutsu. Aikido focuses not on punching or kicking opponents, but rather on using their own energy to gain control of them or to throw them away from you. It is not a static art, but places great emphasis on motion and the dynamics of movement. 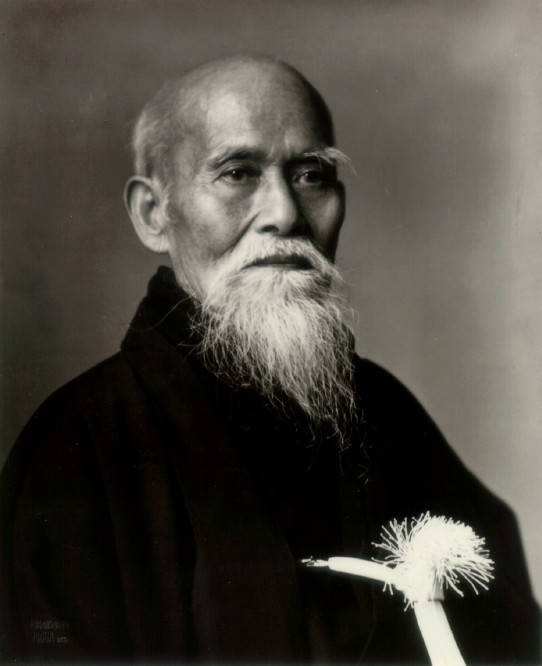 Aikido is practiced for a variety of reasons, from the desire to learn effective self-defense techniques, to the pursuit of a spiritual path, a physical training regimen, or a discipline for the mind. O-Sensei emphasized the moral and spiritual aspects of this art, placing great weight on the development of harmony and peace. His desire was to see world peace achieved through the practice of Aikido. “The Way of Harmony of the Spirit” is one way that “Aikido” may be translated into English. This is still true of Aikido today, although different styles emphasize the spiritual aspects to greater or lesser degrees. The idea of a martial discipline striving for peace and harmony may seem paradoxical, but it is the most basic tenet of the art. In the last analysis, Aikido is not something that can be captured by words. It is better learned by experience, without any preconceived notions. We invite you to come visit us and find out what Aikido is for yourself.